What are the different styles of jeans? Almost all in the closet there is a pair of denim pants, and some of their number tens. Buying new jeans, man wants to make a good choice, not to lament, looking at himself in the mirror. Even products in boutiques can be fake, so carefully inspect the whole assortment of goods before buying. Not having much money to buy, you should not be neglected and jeans stitched in China. Products manufactured in the tiny workshop of an unknown town, can be very high quality. It's not firm and not in the title, and in strength and the comfort of a new pair of pants. So do not believe the assurances of the seller of an expensive store and see for yourself the good quality of the product. Look for the new thing among the inexpensive models, there is always a chance to find "your" thing. Look at the fabric from which sewn jeans. On its density and texture. These jeans are made of thick sturdy fabric. Upon closer examination, will see diagonal lines running from bottom to top and from left to right is a twill weave. Longitudinal thread of the material is usually dyed, and cross – no. The reverse side of this turns a light blue color. Choose denim jeans is a classic option that has the greatest strength. There are also products made from linen, velvet and blended fabrics. 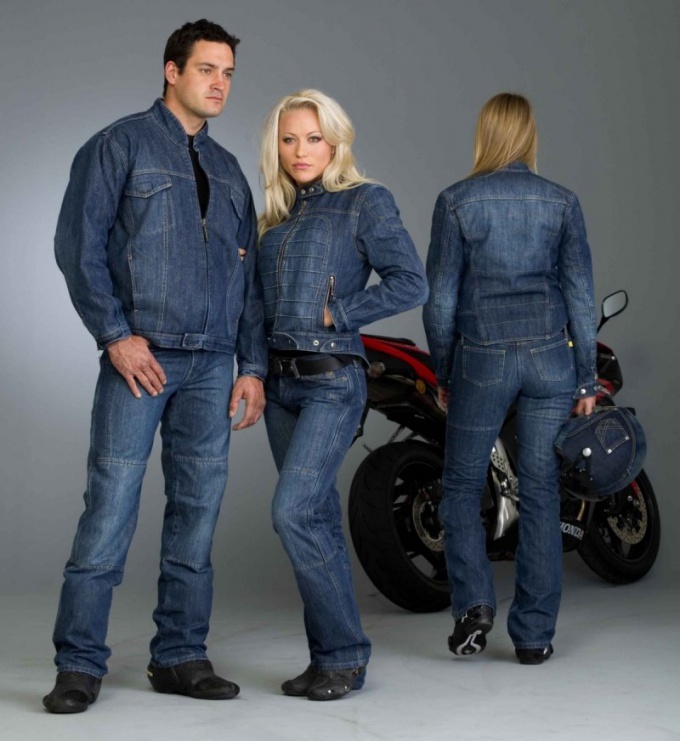 For female models characterized by the presence of elastane in the composition of the denim. This significantly improves the fit of the jeans on the figure and keeps their shape. Pay attention to the quality of the sewing. The seams of the jeans will give you all their secrets. They usually double or even triple with the inversion. Thread color yellow or orange. Threads don't have anywhere to hang around in and freely removable from the seams of the product. All the ends should be melted and filled. Single seams reduce the strength of the jeans. The color of the product is another thing that is worth paying attention to. If jeans are not artificially aged, that is not "boiled" or frayed, the paint has rich color. Some "fading" and watertest at the seams is normal for things denim. The quality of the furniture affects the overall quality of the product. Constantly binding or divergent lightning, falling off the rivets – jeans with such defects definitely not worth buying even at a discount. Accessories for denim things should be metal, copper or bronze. Labels are now making on the skin, fabric or other unconventional materials. After all, paper and cardboard label easy to fake. But if your jeans have passed all of check adequately, we should not abandon them because of the unknown name of the manufacturer. But without sewn labels indicating size, material composition, manufacturer and style of jeans will not do.